1st-2nd-3rd-5th-7th-8th-11th acebird Fed. De IJssel from over 2,300 b. 2nd-3rd-4th s-provincial from over 7,000 b.
Vervins was won by the yearling NL17-1825586 of Marcels good pigeon friend Arjan Moespot. 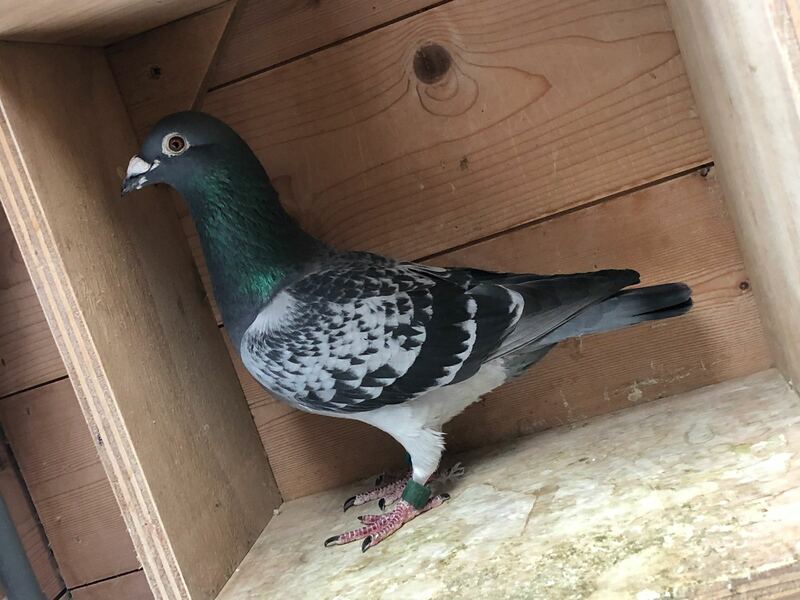 That is an original Sangers pigeon bred from a daughter to ‘Kittel’. Team Sangers themselves won Vervins (307 km) 1,397 b. Son ‘Hayabusa King’ x D. ‘Gigi’, also 1st Soissons 1,733 b.